Salicylic Acid is a beta hydroxy acid found in many plants but it's most well know source is White Willowor Salix alba from which it;s name is derived. Salicylic acid is the active metabolite of the drug Asprin (Acetylsalicylic acid) a well know pain reliving medication. Topically, Salicylic acid is most commonly found in products used to combat acne and other skin conditions such as dandruff, calusses and warts. It acts as a comdeolytic and bateriostatic agent meaning it stimulates the shedding off dead skin cells, unclogs pores and inhibits the growth of potentially acne causing bacteria. These properties also make it useful as a 'chemical peel'. This product is over 99% pure, seek professional advice and dilute before use. 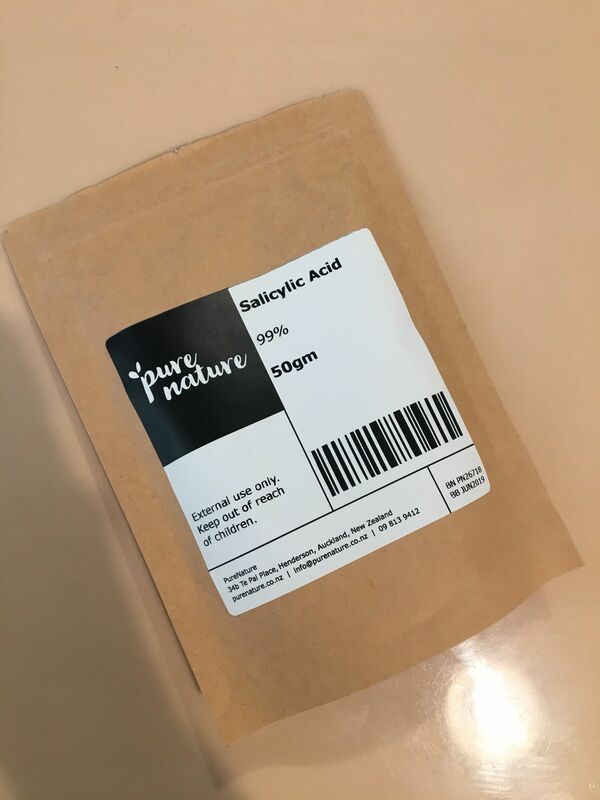 Please note, Salicylic acid is very poorly water soluble and will need to be dissolved in a suitable solvent such as ethanol or propylene glycol before incorporating into your formulations. The use of surfactants can also be useful. A little tricky to mix (you need ethanol or some form of alcohol to dilute this - doesn’t work with witch hazel). However it’s great for making homemade toner for problematic skin.